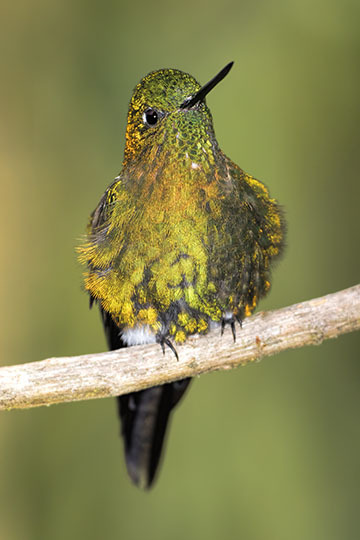 Pufflegs, as their name suggests, have fluffy feathers around their short legs, much like the booted racket-tail. 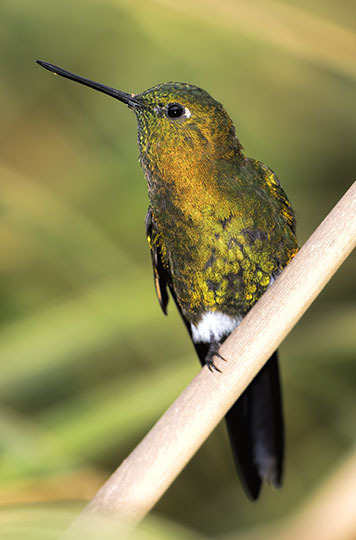 I photographed this male near a feeder at about 3000 m elevation on the slopes of Los Nevados National Park in Central Andes near Manizales, Colombia. 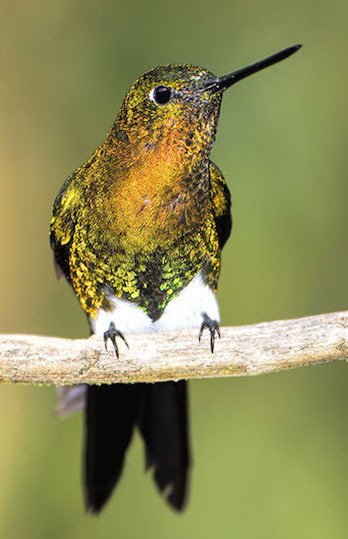 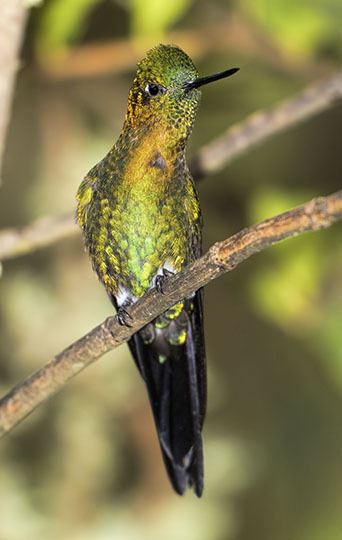 Other pufflegs in Colombia include the black-thighed puffleg and the greenish puffleg.